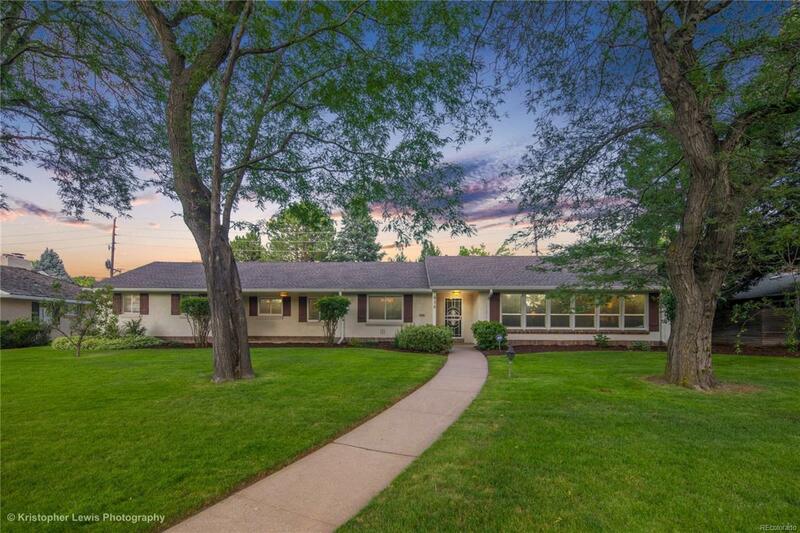 This sweet rancher lives large on a beautifully treed 10,400 sq. ft. lot with 1937 sq. ft. on the main level and a short walk to Lowry Town Center, Boulevard One and Crestmoor Park. Many upgrades within the past 3 years including exterior stucco, triple pane windows, roof, boiler, hot water heaters, water lines, sewer line, covered crawl space, granite counters, refinished hardwoods, custom closets and more. With spacious rooms and a quiet and fabulous fenced yard, this home has plenty of room for expansion. Seller will share architectural drawings for plans for a new master suite, kitchen expansion and sunroom addition. There is a two car ATTACHED garage with ample parking for guests in front and back of home. Note: Third bedroom wall was removed to create an open nook off the kitchen and can be easily replaced if desired.